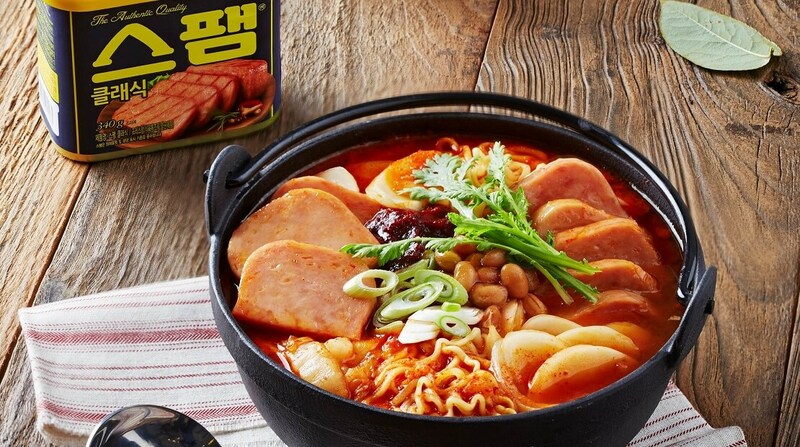 The stew is a salty, savory concoction of spicy kimchi, ramen noodles and various processed meat products served bubbling hot. SPAM — which has a somewhat mixed reception back home in parts of the U.S. — has been loved by South Koreans as a symbol of American prosperity and a source of always-ready protein. That’s been the case since they appeared on the U.S. military base and then given away to starving children or sold on the black market as a prestigious food item.